So, I had a weekend to kill and loaded up Stranger, on Netflix. This is a mystery-thriller that, honestly, would have been outstanding if they cut it in half. It just didn’t have enough plot for 16 episodes – 8 would have perfect. As it was, it drifted along with mellow intrigue, excellent character development, and quality drama… but geesh, was it long. I stuck it out, cause I was committed, but dang… even the British, who are famous for their leisurely plot development, would have added some caffeine to this weak tea. Being a sucker for romance, I think the complete lack of it also made the show seem longer. I knew these characters were all going to grow as people and be the better for knowing each other – but I got the impression right away there would be no breakthrough moment or cuddling happy ending for our lead protagonists. 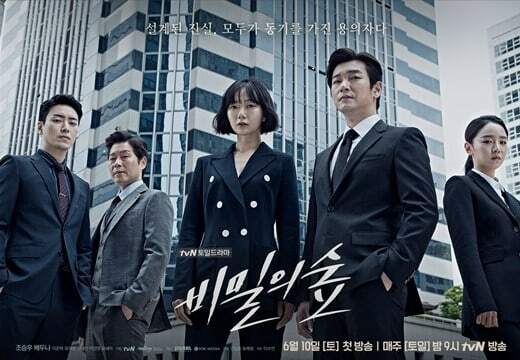 Cho Seung-Woo played the detached prosecutor who’d basically had a lobotomy in his teens, removing the emotional part of his brain. I kid you not. Medically created sociopath. He was dreamy and cool and collected and I loved him to death. The gorgeous Bae Doo-Na, whom I have only seen in the delightfully pervy globe-trotting disaster of a show known as Sense 8, was perfectly cast as the tough as nails cop with a strong moral compass. She and Cho Seung-Woo had oodles of chemistry – and my favorite aspect of the show was watching her casual, slow approach to winning him over and digging out his humanity, one cute sketch at a time. Her sketch of his brain, in particular, was endearing and had me laughing. 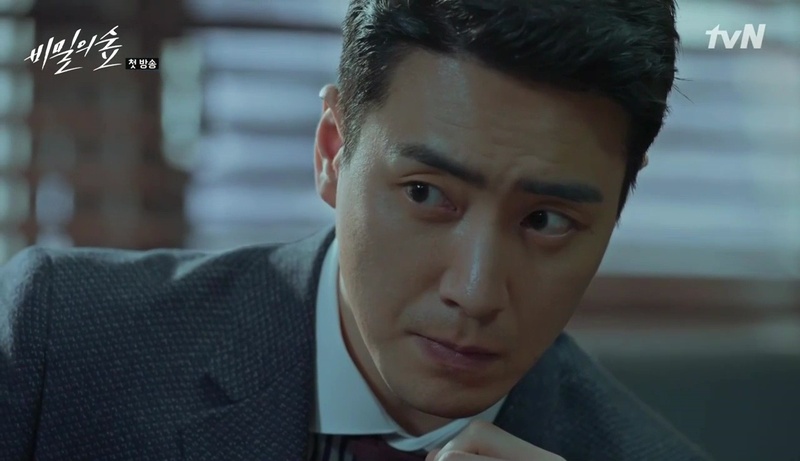 The real stand out performer was Lee Joon-Hyuk, who played a crooked prosecutor who lived on paranoia and cockiness. What a smug mug, eh? He was the true sociopath, dazzling one second, violent the next, spinning from one extreme to another in an ever increasingly mad dash to stay one step ahead. So… there’s corruption and scandal and a murder mystery or two. I must say, personally, I was not a fan of how this unraveled at the end. It was just too random. After all that build up, it felt like a smack in the face to bring in something so out of left field. The last episode made up for it, though, and there was a nice chunk of “what happens next” with your key players so that you weren’t left wondering. But still. It was just… really slow. If you don’t like romantic dramas, you will probably like this one a lot more than I did and maybe not even mind the pace, but for me it was almost torturous near the end to finish it. Overall Rating – 6.5/10 – Don’t Have Private Conversations In Rooms With Open Windows. Helpful review. Thanks for taking the time to write it. I plan to check out the series. I’m interested to see if I come to the same conclusion as you (that they could have done with half as many episodes). Again, thanks.